You can get in touch by email, on our Berkshire, Oxford, Hampshire and Dorset Facebook pages or on Twitter @BBCBerkshire @BBCOxford @BBC_Hampshire and @BBCDorset. 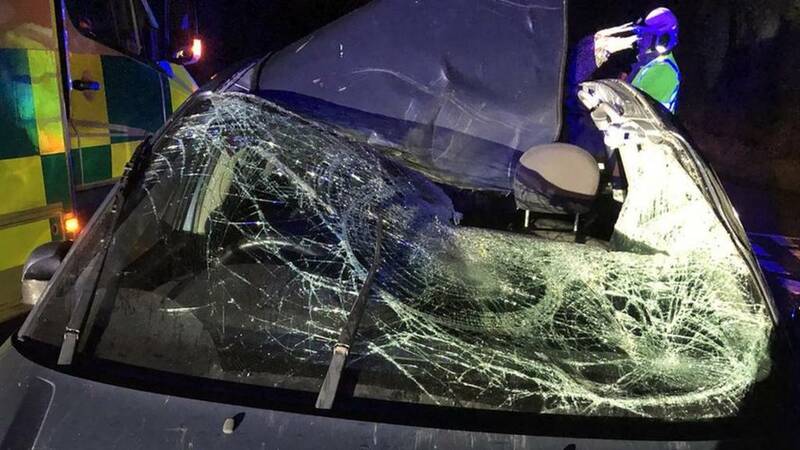 A driver and passenger are taken to hospital after a tree crushes a car. 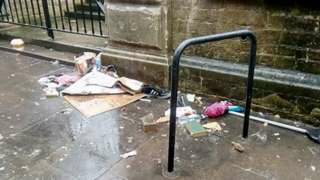 Windsor has an "epidemic of rough sleeping and vagrancy", according to its council leader. BBC South Live will resume at 09:00 on Thursday. Stay in touch via our Hampshire, Dorset, Berkshire and Oxford Facebook pages or by using Twitter @BBC_Hampshire, @BBCDorset, @BBCBerkshire and @BBCOxford. A35 Hampshire both ways severe accident, near Woodlands Road. A35 Hampshire - A35 Lyndhurst Road in Ashurst partially blocked in both directions near the Woodlands Road junction, because of an accident involving 2 vehicles. The Green Party said a rough sleeper was left in a "dire situation" by Oxford City Council. Searches to find a 70-year-old man who went missing from a supported housing block in Dorset are continuing, police have said. Andrew Latcham was last seen leaving his home in Blandford at about 03:30 GMT on 30 December. 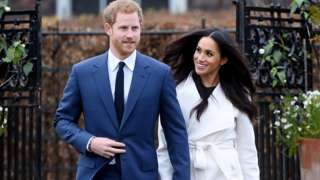 Dorset Police said officers have been using a specialist drone to scour the area, and that it wanted "to assure the public our efforts are still ongoing". The force previously said active searches had been halted and it was "very unlikely" Mr Latcham would be found safe. Erika Prisacaru, 39, died in hospital after being struck by a car on The Grove, Dorchester. A man who stabbed a garage worker in the chest, back and stomach has been jailed for eight years. Daniel Lowe attacked the man as they chatted on the Nuffield Industrial Estate in Poole, Dorset, on 16 June. He then drove away, crashing into another vehicle, and ran into a police station, Bournemouth Crown Court heard. Lowe, 27, of Steer Road, Swanage, admitted wounding with intent, possessing an offensive weapon and cannabis and aggravated vehicle taking. Reading have offered new contracts to two of their academy graduates. Defenders Tom McIntyre and Gabriel Osho, both 19, have both featured in the Checkatrade Trophy for Reading's under-21s. Both players have featured in the Checkatrade Trophy for the under-21s, but are still waiting to make their senior debuts for the Championship club. M3 Surrey southbound severe disruption, between J4 for A331 and J4A for A327. M3 Surrey - One lane closed and heavy traffic on M3 southbound between J4, A331 (Camberley) and J4a, A327 (Farnborough), because of a broken down vehicle. Police are hunting for an Audi A3 convertible after a mother was killed in a suspected hit-and-run. 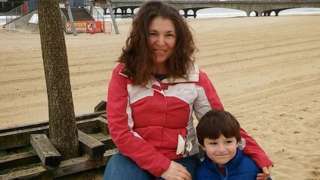 Erika Prisacaru, 39, died in hospital after being struck by a car on The Grove, Dorchester, Dorset, shortly before 20:00 GMT on 27 December. 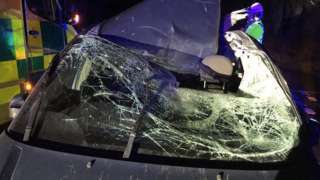 Dorset Police has already appealed for mechanics asked to fix a damaged car in the days after her death to come forward. The force is now releasing CCTV images of the vehicle believed to be involved. Ofsted said children were not being properly supervised because of staff shortages. Two men have been arrested in connection with a 13-year-old boy suffering a serious eye injury in Poole. The victim was walking in Wimborne Road, close to a Co-op food store at its junction with Tatnam Road, when he was hit in the leg and eye with unidentified objects. Dorset Police said he was taken to hospital and is continuing to receive treatment. Two men from Poole, aged 19 and 20, have been arrested on suspicion of wounding with intent. Children ate discarded food and dried pasta at an Oxfordshire nursery because they were not supervised properly, a watchdog has said. 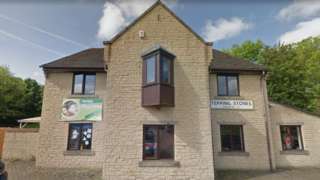 Ofsted inspectors also saw youngsters running with scissors "in an unsafe matter" during a visit to Stepping Stones Nursery in Witney. The regulator rated the nursery, which has 75 places, inadequate after an inspection in December. Nursery owner Jane Kelly said the next inspection would show improvement. 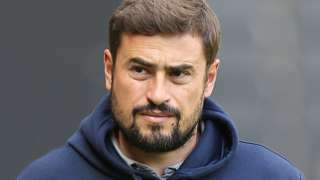 Oxford United manager Pep Clotet is confident business in the January transfer window will improve his squad. An 82-year-old woman suffered a broken shoulder and heavy bruising as a mugger snatched her handbag while she walked through central Southampton. The victim, who had just been for a coffee with a friend nearby, was attacked and knocked to the ground by a man in Watts Park between 11:20 and 11:30 GMT on Monday. Hampshire police said it wanted to hear from a man who helped the woman and chased after the robber. Det Con Martin Brewer said: “This was a cowardly crime against a vulnerable member of the community who was simply walking through the park with a friend." M4 Berkshire eastbound severe accident, at J6 for A355 Slough. M4 Berkshire - M4 entry slip road closed and slow traffic London-bound at J6, A355 (Slough), because of an accident. M4 Berkshire eastbound severe accident, between J6 for A355 Slough and J5 for A4 affecting J7 for A4. M4 Berkshire - M4 entry slip road closed, two lanes closed and queuing traffic London-bound between J6, A355 (Slough) and J5, A4 (Langley), because of an accident. Congestion to J7, A4 (Slough West).